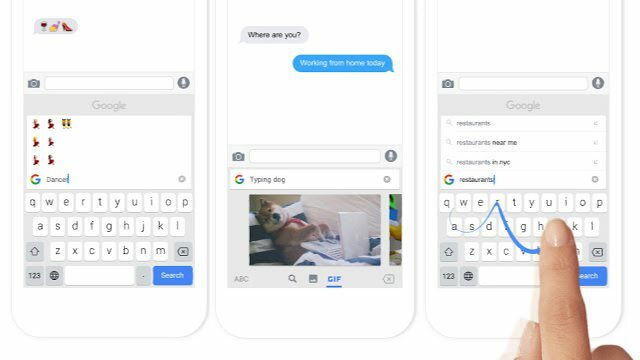 Google announced new iOS keyboard named Gboard. Google Gboard can search the web, GIFs, emoji and grab weather reports. The new Google keyboard can do other stuff too like search and send restaurant information, flight times and news articles to friends and family. Another feature Gboard includes is the big “G” button positioned on the top left the corner of the keyboard. Hit the button and search for whatever you want to send and attach it as a card. Google Gboard supports Google’s Glide Typing, which lets you slide your finger between keys to input text. Starting with US first, Gboard will come to more regions with support for other languages.